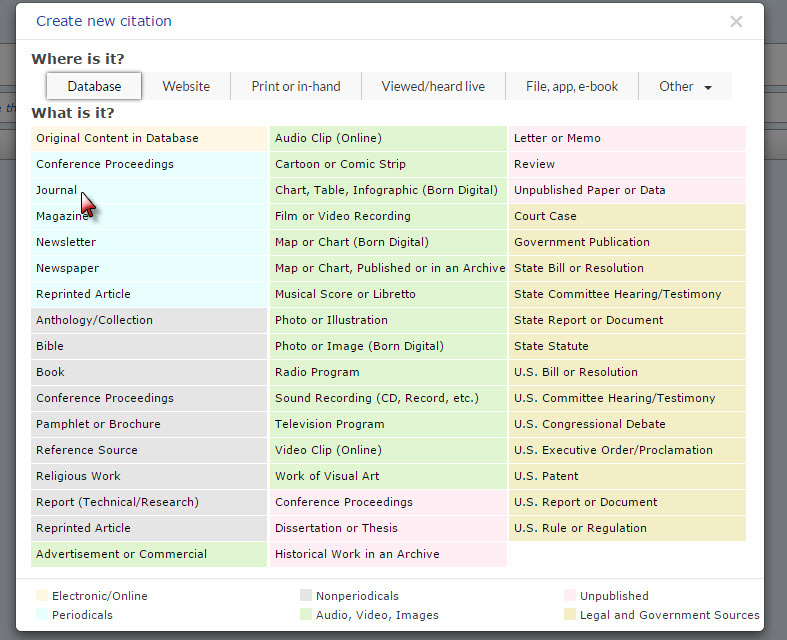 NoodleTools contains many helpful functions but the one you will use the most is creating source citations. To do this, be sure you are in the Sources tab of your project. Switch between tabs anytime at the top of the page. Click on "Create a new citation". Step 3: Where is it? NoodleTools will ask you where you found the source. Select the option that best describes how you accessed this source. Options include Database, Website, Print or in-hand, Viewed/heard live, File, app, e-book, or Other. Remember that even if you printed an article from a library database, you would still select "Database" as where you found the source. Think about how you first found or accessed the source. Step 4: What is it? Once you've selected WHERE you found the source, NoodleTools will ask WHAT the source is. Click on the option that best describes your source. Options will vary depending on where you found your source. If you're having trouble determining what your source is, ask a librarian. Commonly used sources include journals, magazines, newspapers, and books. 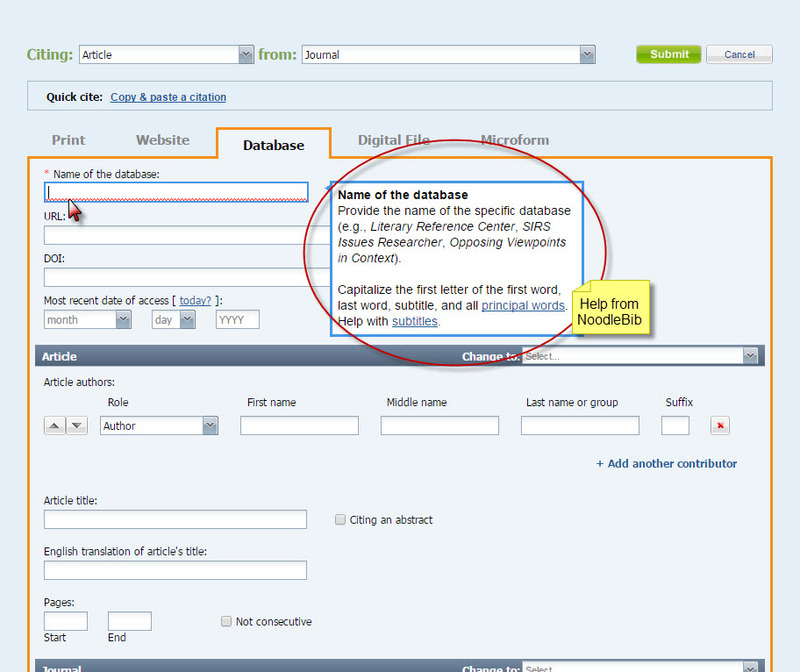 Here you will enter the source information to create a citation. Required fields are underlined in red. Not all sources will contain all of these elements, so if you don't have a certain piece of information, move on to the next entry. When you click in an empty field, NoodleTools will give you a hint about what information goes in that field. When you are finished entering your bibliographic elements, click "Submit" to complete your citation.